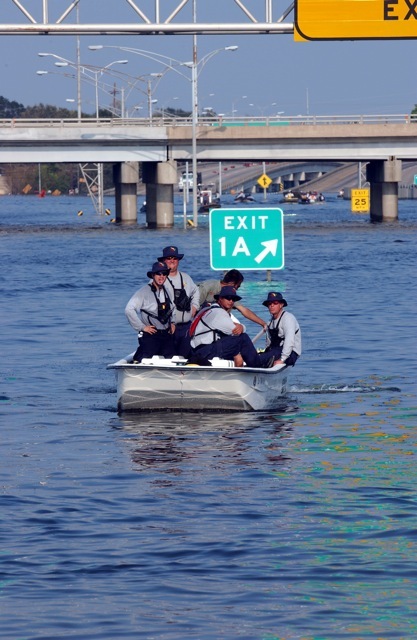 Both the NFIP and the major national building code organizations rely on the US Army Corps of Engineers (USACE) for floodproofing standards. The USACE Flood Proofing Regulations (see link to download a PDF copy) deals only with the treatment of hydrostatic and hydrodynamic forces and waterproofing associated with riverine flooding only. To the extent that coastline structures are subject to these semi-static conditions, these provisions will be applicable to coastal or tidal flooding situations; however, no consideration is given to the special problems of wave impact, corrosion, and erosion associated with coastal flooding. Presray's standards are far more stringent than the mininum standards set forth by the USACE regulations. Beware of FEMA or USACE "Certification" claims because 4 inches of water in a large building over a 24-hour period can be a lot of water! 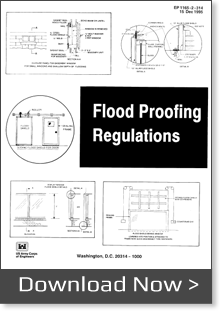 This document provides the flood resistant design criteria that serve as the basis for standards by the NFIP. Note: 85 pages in length.